Danny Bader, a best-selling author of Back From Heaven’s Front Porch, Five Principles To Creating a Happy and Fulfilling Life joins Enterprise Radio. Danny is also an inspirational coach whose life was transformed by a near death experience more than 10 years ago. Tell us a little bit about yourself. Did you always want to be a writer or was this something that was the direct result of your incident? 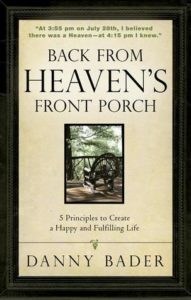 Back From Heaven’s Front Porch, Five Principles To Creating a Happy and Fulfilling Life is a fascinating read. Can you tell our listeners more about it and what you hope that readers get out of it? What did you learn about yourself while writing it? How do you tie the lessons from your book into your inspirational workshops and seminars? For someone who may just be hearing of you for the first time, what is the one thing that you want him or her to know? Being electrocuted is, perhaps, one of the unluckiest things that could happen to a person. But to Danny Bader, it literally ignited a spark within him. Some may call it a deeper purpose; others simply refer to it as a passion. Yet if you ask Bader, he calls it divine intervention. Because for him, he chose to see the lifealtering occurrence as an awakening that drove him to finally pursue his passion – to become an inspirational speaker and, eventually, a best-selling author. His innovative concept was well received in the hustle and bustle culture of the corporate world and, combined with his exceptional interpersonal skills and enthusiasm to help others really understand themselves, jckrbbt grew at an exponential rate. 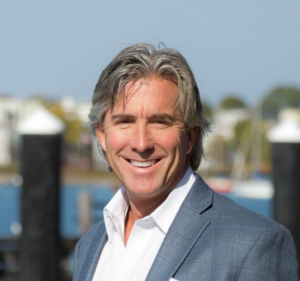 Soon he was working with major corporations such as Marriott, Adidas, Reebok, Wawa, Merck Pharmaceuticals, Christianna Health and Astellas Pharmaceuticals to present workshops to their employees. Never one to rest on his laurels, Bader added the title of best-selling author to his resume in 2012 when he released Back From Heaven’s Front Porch, which received rave reviews from Success Magazine and ranked #1 and #2 on Amazon in the categories of inspiration and self-help. Based on his own near-death experience, the book beautifully chronicles one man’s struggle to be alive again after an accident claims the life of his friend and nearly his own. After spending a few moments on Heaven’s front porch with God, he is thrust back into his old life. In the months that follow, he struggles to find purpose and meaning in the day-to-day of life. In his quest, he uncovers five principles—JCKRBBT—necessary to move him from just living again…to being fully alive. Bader released a second book Abraham’s Diner: Simple Wisdom For More Control, Focus, and Inspiration in 2015, which is a quick-read business fable written to help others manage their day-to-day responsibilities more easily while living a more purposeful life. So what’s next for the guy who seems to have it all? A screenplay and movie? Perhaps. Another book? Already in the works. But for this humble husband and father of three he’s content practicing what he preaches – finding and creating his little piece of heaven of Earth.